“My skin crawls when I hear someone talking about addicts with hateful tones and phrases. I try to speak to them to help them realize it’s my daughters they are talking about. 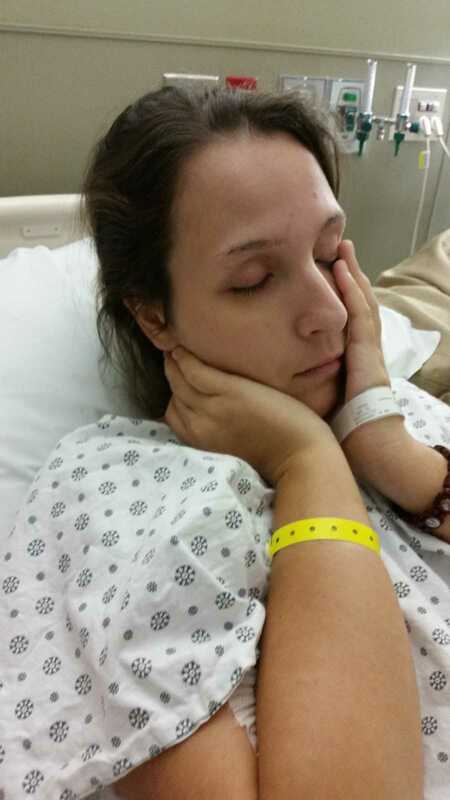 My daughter who overdosed, Monica, beat the odds and didn’t die or become a vegetable. She now does public speaking at schools, drug reality forums as well as with emergency responder’s and the health care field. Monica is one of four children. 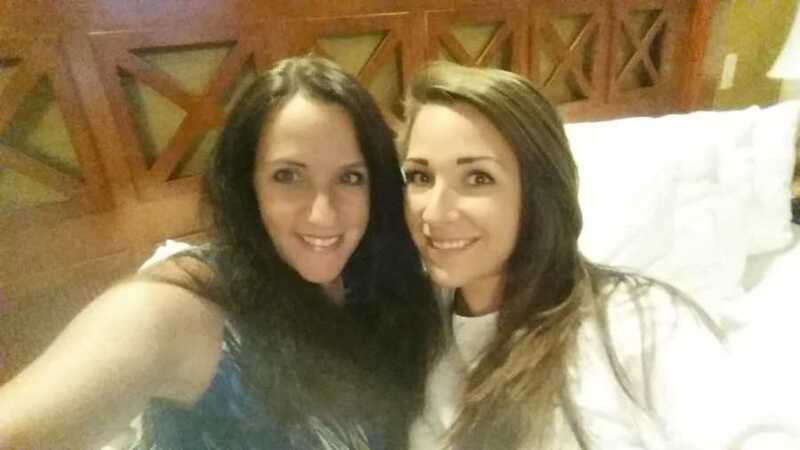 Monica and her little sister Melissa started using together in their teens. When we moved, Monica began to endure bullying in the new school and tried to keep it in. I never knew. I wish I had seen the signs. When the girls were in their mid-teens, we had many of the same difficulties parents experience — smoking, boys and sneaking out at night. Monica came to me in tears one night and had pain so bad she couldn’t move. A visit to the ER confirmed she had P.C.O.S and a script for Percocet was given. That was the beginning of hell. The pain meds fixed more than the physical pain. She felt her mental anguish feeling better as well. She could cope with the bullies… they didn’t seem to bother her as much. She was in love with that feeling, so when her prescription (which we had been told weren’t addictive in the early years) was gone, she was helping herself to family member’s pills. Monica was a great student once she moved back in with her grandmother and went to high school with her former classmates, but I was unaware that her opiate use was escalating. 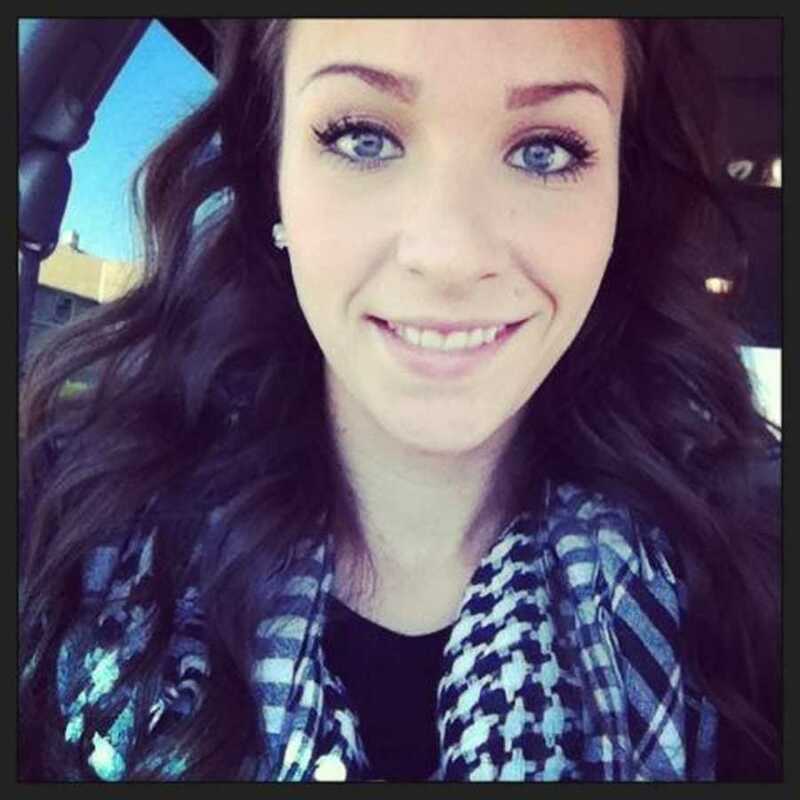 After she graduated, she moved back home, went to school to be an esthetician and was doing great. I was so proud of her. Melissa came to me one day and revealed she had an opiate problem after a terrible car accident that left her little Honda under a box truck. 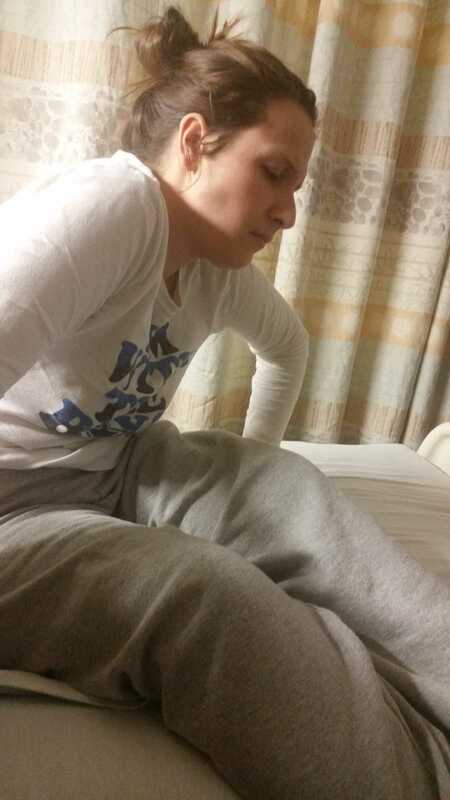 She was in tremendous pain after that accident and was given meds… she couldn’t get off of them. She tried, but would get sick and couldn’t go to work. I told her to quit her job, get better and get another job. Right after starting on Subutex, she found out she was pregnant and couldn’t go off of them like she wanted to. Stopping would mean losing the baby and that wasn’t an option to her. She had to take Subutex until after the baby was born. My oldest daughter and my youngest son do not have a problem, yet they were all raised the same. There goes that theory. Monica met someone and started a new relationship. She moved in with him, his son and family. I missed her, but she seemed happy. Unfortunately, she ‘SEEMED’ happy so I thought that was the reason I was seeing her less and less. It was not the reason at all. Monica was in an abusive relationship. It turned out he was seeing a ‘pain management’ doctor and got many drugs for many things. He had her on suboxone, but would ‘reward’ her with cheat days and binge weekends. He was also keeping her from her friends and family. When they fought, he would get physical and throw her belongings on the front lawn. One fight ended in a shouting match with him calling her a fat pig. Her eating disorder started that night. She was about 110 pounds and 5’5″, while he was over 6-foot tall and more than 225 pounds. She came home hysterical and I fell apart. Eventually she went back to him. He had become her drug dealer as well as her boyfriend. I was distraught and petrified I would get a call he had killed her, or worse yet, that she had disappeared. Monica eventually came home and shortly after, her sister Melissa brought me a plastic baggie and said, ‘I think Monica is doing heroin.’ My heart sank. Feeling nauseous before I went to her room, I took a deep breath, knocked, and went in. I showed her the baggy and asked nicely what it was. ‘Is this a bag from heroin? Please, tell me the truth. I love you and just want to help you.’ She was cursing me out and saying she couldn’t believe I would accuse her of being a drug addict. ‘I go to work every day, are you kidding me… that’s a bag from a button from my new shirt. Get out of my room!’ She had me believing I was crazy. The day before Mother’s Day 2015 we went to Dunkin’ Donuts and talked for hours. I never knew that would be the last day, for a long time, I would see her ‘normal.’ The following Monday I woke her up for work (ya know, enabler, co-dependent Mom that I was). I heard screaming coming from the downstairs bathroom… ‘My makeup case is missing, my shirt is wrinkled, I’m killing myself and quitting my job.’ I was panicked and woke my husband to stay with her and watch her. I was frantically making calls about rehab. When I walked into her room and told her I needed to talk to her, she said, ‘I need to talk to you. I leave for Florida tomorrow and will most likely never come back.’ My baby has always wanted to be close to home. I didn’t understand. I didn’t understand addiction, rehab, or detox. I was a mess. I knew she needed help, but I was thinking that it was the eating disorder. I never knew that she was a drug addict. Was I in denial? Absolutely. The day she left to go to rehab was a very hard day for me. 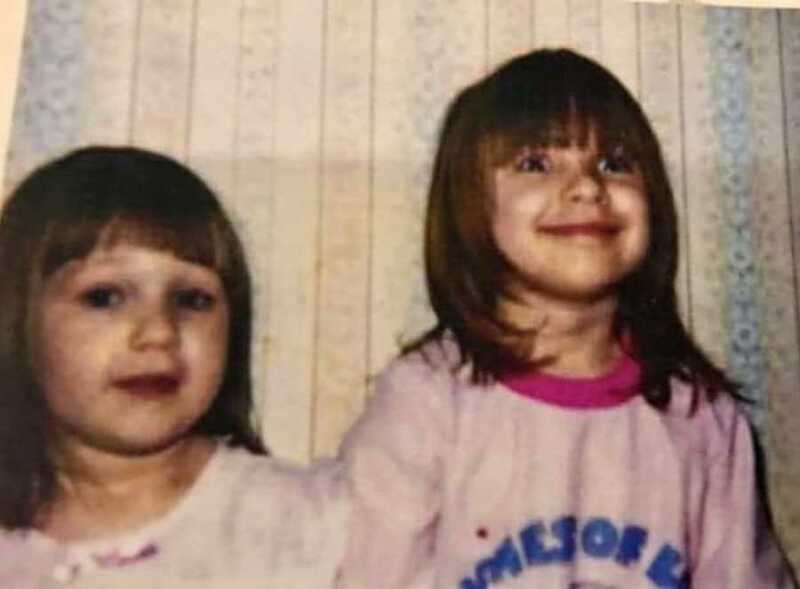 I loved my daughter so very much and couldn’t imagine life without her, but when I heard about how much opiates she was on, I knew I had two choices: I could either allow her to go to treatment in Florida and be able to call or video chat with me, OR talk to her gravestone. My heart was broken but there was only one choice, treatment. 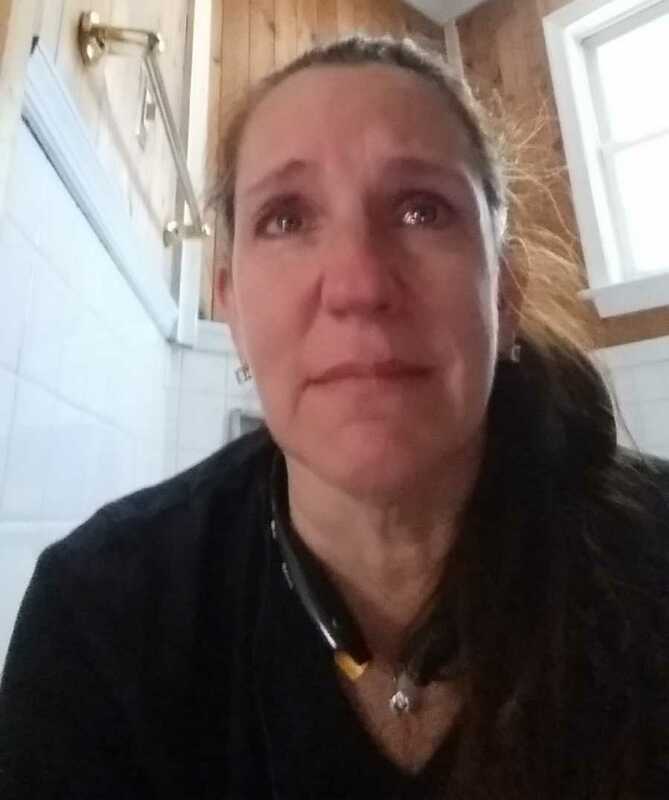 Monica left for West Palm Beach for treatment at B.H.O.P (Behavioral Health of the Palm Beaches) and I waited for the call she was all better. I had no idea what the reality was. Who knew that after treatment they didn’t come home CURED!? I didn’t. Who knew that detox/rehab was only the first step? I didn’t. I got a call from her counselor and he told me there was a week-long family class. I drove from New Jersey to Florida by myself and was nervous the entire way. I wanted to know why. Why did this happen? What did I do wrong? I drove back to New Jersey with a wealth of education on addiction. I learned her addiction was not my fault, but neither was it hers. Addiction IS a disease. The first use for some is a choice, but for most, it is not. Opiates are given for illnesses, accidents, and operations. The day I came home, I started with a call to our Mayor’s office. ‘We need to do something, our kids are dying in alarming numbers.’ He agreed and gave me the number of a lady that was heading our local Municipal Alliance. I called her and she said that very night was National Night Out and she would love to meet me if I was going. I HAD to get involved. Everyone I met in both the grips of addiction as well as in recovery were the most incredible people I’ve ever met. I would devote my life to Addiction/Recovery if it could possibly make a difference. I joined the Municipal Alliance, went to Nar-Anon twice a week, and spoke out anywhere I could. My belief is that Anonymous Kills. If people are afraid to talk because of the stigma, everyone stays sick. 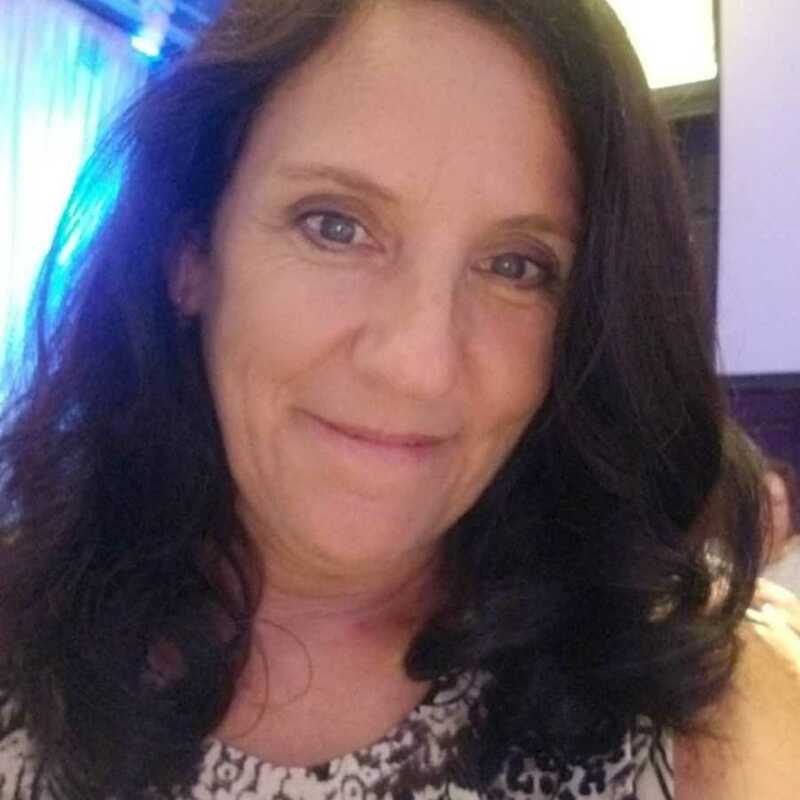 Monica had come home after her 30 days in rehab, gave her 2 weeks’ notice to her amazing job and took the train back to start her sober life in Florida. Gone were her days of a high paying desk job and nights of hanging out with her friends at the bar. She moved into an $800 a month sober living home where she shared a bedroom. She did multiple meetings a day. She’s never been able to sleep well, and after several months, she tested positive for Kratam. This was a tea that was supposed to relax you and help you sleep. 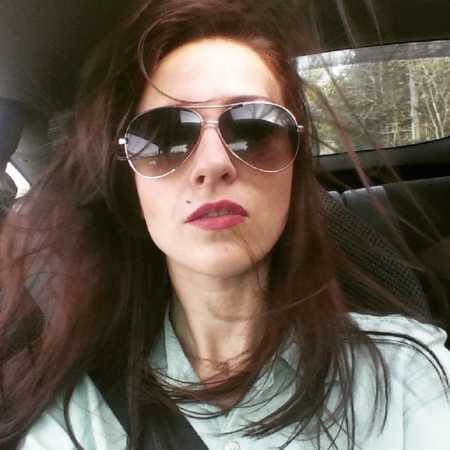 She was given two choices by her sober living: go back home or go to treatment again. She said she would go home. I was terrified when she said she was coming and that she was already in South Carolina. I immediately felt dizzy. My heart was racing and I thought I was going to pass out. I hung up and burst into tears. I was hyperventilating I was crying so hard. I truly believed she would die if she came home. Prior to her arrival home, I had taken Narcan training. I was trained in recognizing an overdose, administering the Naloxone (Narcan), as well as CPR. Little did I know that class would save Monica’s life. She had stopped at a friend’s house on the way home. She had never used a needle and was proud of that. She had snorted heroin but would ‘NEVER shoot up,’ or so she thought. 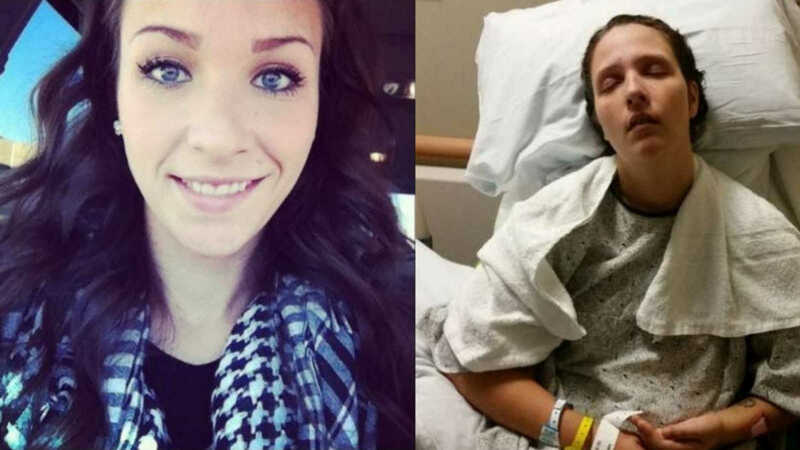 This ‘friend,’ knowing she had just left a 6 months sober life, injected her with heroin. Monica said she was so disappointed in herself for being kicked out that she didn’t care if she relapsed. She drove home high. I was both elated to see her, but terrified. We had house rules. She HAD to be home by midnight and was FORBIDDEN to see her ex. Around 4 a.m. Monica pulled in the driveway. We hugged and she went right upstairs to her room and passed out. She said she wanted to get up to surprise her niece Lexi at her soccer game at 10 a.m. To Monica, Lexi was the sun and the moon. We got to the field and when Lex saw Monica walking over, she screamed in excitement and fell into Monica’s arms crying with happiness. She was over the moon to hear her aunt had moved back home. That excitement, unbeknownst to us all, would be short lived. 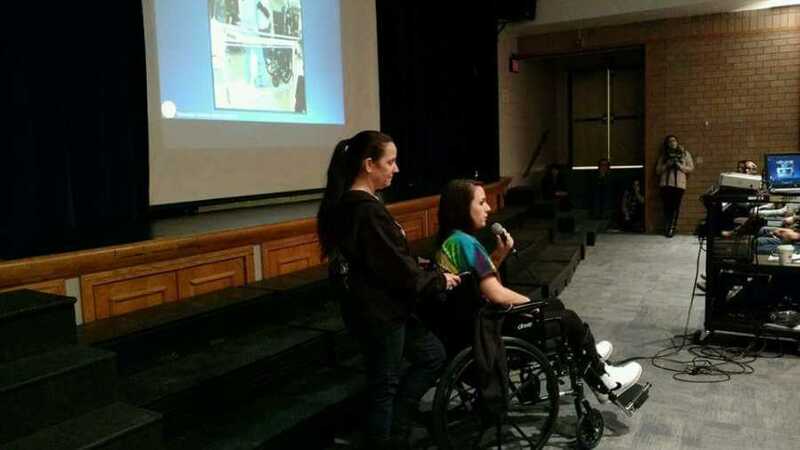 On October 27, 2015, our Municipal Alliance was doing a Drug Reality Forum at our high school and Monica said she wanted to go with me. That afternoon, she came down from her room dressed, makeup and hair looking beautiful. I said, ‘Wow, you’re ready early. You look beautiful,’ and the words I was about to hear rocked me to my core. She said, ‘Maggie is going to pick me up… but don’t worry, I am not going to see John.’ My heart sank and I begged her not to go. My premonition was right in front of me. She reassured me she would see me at the high school if not before. That never happened. I arrived early and Monica wasn’t there. I saved a seat for her next to me, she never showed. I was so worried and stressed that by the end of the night, I had a major migraine and was throwing up. All night NO answer on her cell. Finally, a call came in from her at almost midnight. She apologized and said she would miss the midnight curfew but only by a few minutes. I told her I was sick and would leave the door unlocked for her. She said, ‘Feel better Mom, I love you’ and hung up. The following morning, I woke up and went to check on Monica. Her door was locked, but I didn’t hear her TV. You always hear that when she is home. My heart broke. I just knew she was at HIS house again. I was at lunch with my son when a call from my daughter Melissa came in. I heard her cracking voice on the phone saying, ‘Please, you have to come home… I’m hearing noises coming out of Monica’s room. I don’t know if he is in there with her, but you have to come home fast.’ I flew home. Turning onto my street, I noticed Monica’s window was open and there was a ladder about a foot away from it. It was a rainy, stormy day. I ran upstairs and tried to open her door. It was still locked but I heard the noise my daughter heard. I was petrified. Something was wrong. I ran outside and climbed the metal ladder in thunder, lightning and rain. Looking in, I was in shock. I saw my daughter lying face down on her bed. She was grey and purple. Her fingers were clenched closed and she was struggling to breathe. My son had run outside and saw me trying to climb in her window. ‘Please Mom, don’t do that, you’ll kill yourself.’ I decided he was right and the ladder was too far from the window. If I fell and killed myself, no one could use the Narcan. I found myself breaking down her bedroom door and getting her on the floor to start CPR. Her pulse had stopped a couple of times while doing CPR. I had my son get the Narcan and I administered it while my daughter Melissa called 911. To our horror, we saw her ‘works’ by her bed. This was actually happening. We learned from text messages on her phone that she was messaging someone about how to do it and realized when she stopped answering him after saying she didn’t think it worked, is when she overdosed. That was some 12 hours before. Monica was in front of the house in the ambulance for what felt like an eternity due to her seizing. We were separated as soon as we got to the ER and I knew nothing for hours. Was she even alive? I left a message at her dad’s employer to have him get to the hospital ASAP. Would any of us ever see her alive again? Hours later, they took us to the ICU. Doctors said she was on life support and that we should make arrangements because she likely wouldn’t live 24 hours, and if she did, she would be a vegetable. We cried, we prayed, and when my husband tried to bring up ‘arrangements’ I wouldn’t even entertain that thought. I COULDN’T lose my baby. Friends and family came in to see Monica and give us support. Her niece was devastated. She cried so hard that her little 8-year-old body was trembling and she couldn’t breathe. ‘Please don’t let Aunt Monica die, PLEASE,’ she sobbed. It was gut wrenching. Monica had suffered a heart attack and a stroke. 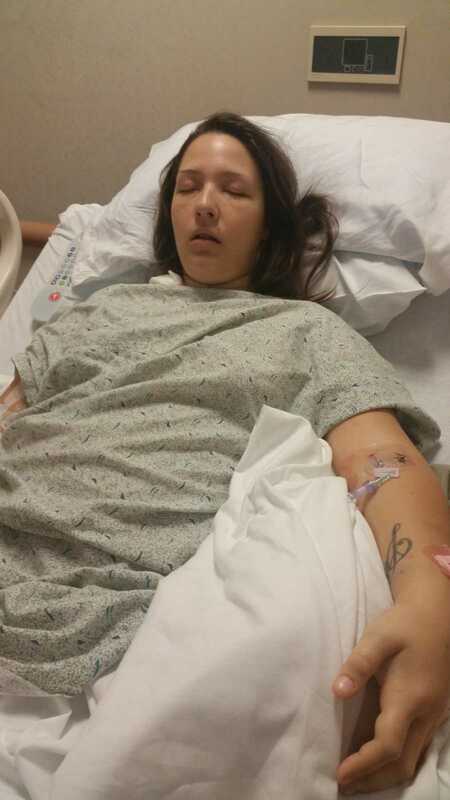 She had swelling on her brain, a blood clot in her arm and kidney and liver failure. Her numbers were so high they were off the chart. Doctor asked me to come outside to the nurse’s desk. Again, my heart dropped. He looked right in my eyes and began speaking. She had suffered a ‘Compartment Syndrome’ by how she was laying when she overdosed and there were only 2 options, both emergency surgery. One would be to amputate her leg or the other try to save it by putting in drains and hoping for the best. She may still lose the leg if it doesn’t work. When I told him we would try to save it, he reminded me she may not live 24 hours. I said if she did, I wanted her to at least have a chance at having 2 legs. Having her wheeled out for her trip to the OR was very stressful. I broke down when they unplugged her life support and put the bag on the tube down her throat. The reality she may not survive smacked me in the face. The next few hours were crazy. Would she live? Would she lose her leg? Drains were placed in her leg. Her health improved and she was taken off life support. I had to keep shaking her arm and telling her she had to breathe. I was YELLING in the ICU because if I didn’t she would stop breathing. After about 5 minutes of that, she started breathing on her own and they could remove her breathing tube. Her swelling went down in her brain, her blood clot was taken care of, her heart started improving, but her kidneys and liver were a different story. She was pumped full of fluids to keep her kidneys working and her body blew up. Blisters followed. We spent a month in the hospital. They wanted to send her to a physical rehab, but because of her addiction, many rehabs wouldn’t take her. My mommy mode came out and MANY phone calls were made. You could send someone home from the hospital without being about to walk? I don’t think so. We finally got her accepted to one and she was transferred. 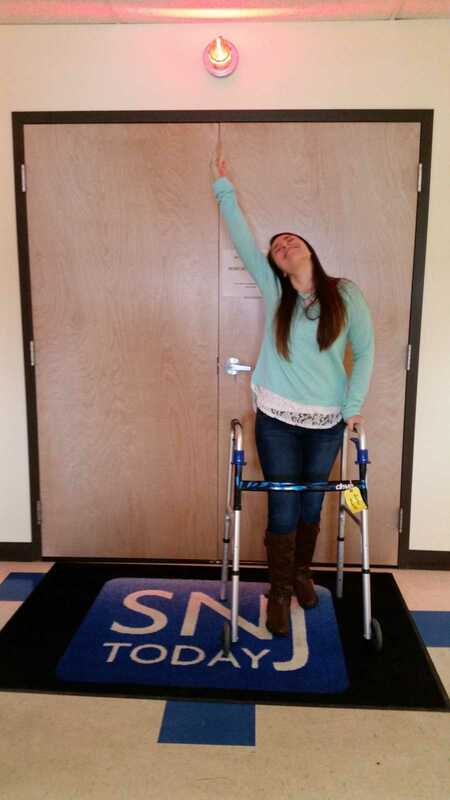 Monica was finally able to get out of her bed without a Hoier lift. They helped her move, transfer and try to walk. It was heartbreaking watching your 25-year-old daughter in diapers learning to walk again, but my baby was alive. She made it. Her first steps with a walker (and a wheelchair behind her) was on Thanksgiving. We were all so very thankful that day! She spent almost a month at the rehab and was sent home with a wheelchair, walker, potty and shower chair. It would take 2 people to get her into and out of bed, up and down the steps, outside the house… life was tough, but we had our baby girl home. The next two years were very tough watching her struggle, but she eventually went from a wheelchair to braces on her legs and a walker to a cane and finally walking on her own. 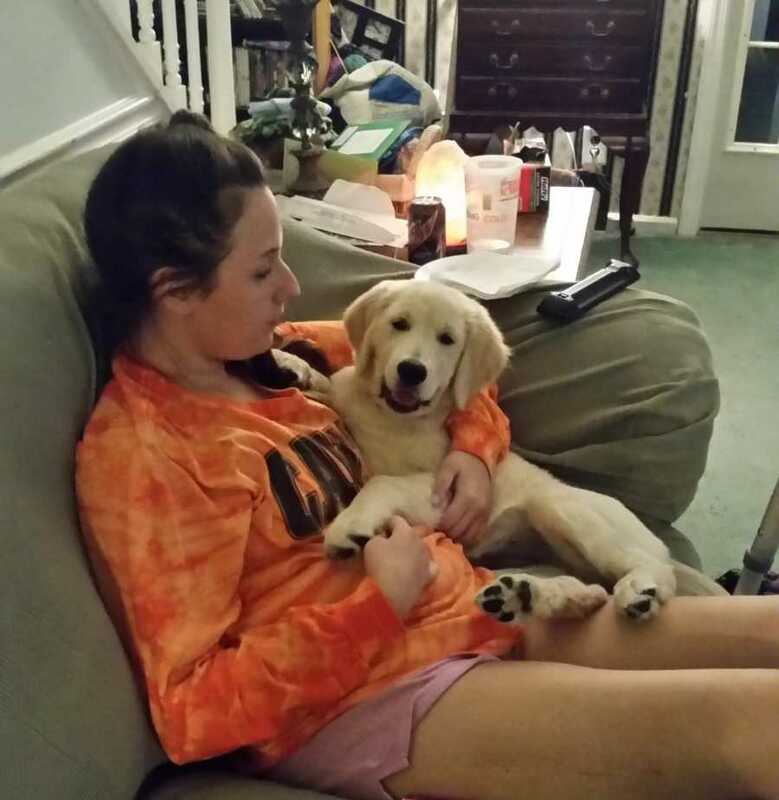 About a month after she came home, we stopped to see puppies and Monica fell in love with a Golden Retriever. She adopted her and named her Stella. Stella would play a big part of her home therapy, both physical and mental. It was really hard for me to tell a girl who could barely walk that if she got a puppy, it would be her responsibility to take care of her. She would have to feed and walk her. To my surprise, she agreed and the improvement I could see in my daughter was amazing. When she first came home from rehab and was learning to walk and figuring things out… she would tell me she wished I had just let her die, but after my grandpuppy came home, she seemed to change. She had a purpose. Monica’s stroke has taken a toll on her memory. When she was in the hospital she didn’t remember driving back from Florida and I had to repeat at least 10 times a day what had happened. She looked at me and said, ‘Mom, we have to tell kids that drugs are no joke – I always thought you overdose and either live or die. 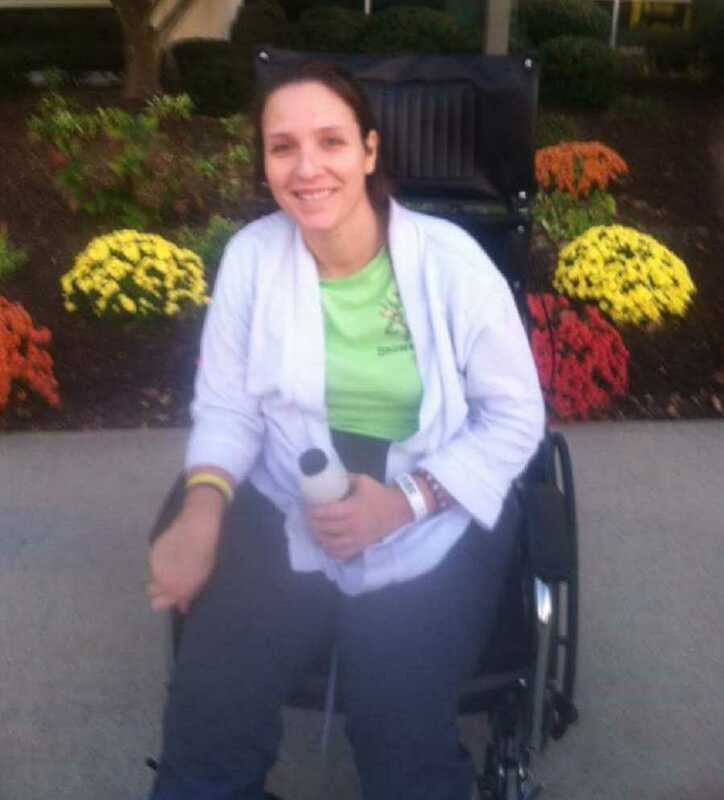 I never knew there was a grey area where you could be a quadriplegic, amputee or a vegetable.’ Our family celebrates Monica’s ‘Blessed Day’ every October 28, a kind of 2nd Birthday. We are both advocates and public speakers as well as Recovery Coaches with The City of Angel’s in hospitals giving guidance to those brought in after an overdose or an addiction (drug or alcohol). I am so very proud of my daughters and every person suffering through the disease of addiction that takes the step to get help. We make ourselves available to try to help both those suffering with SUD (Substance Use Disorder) and their families. 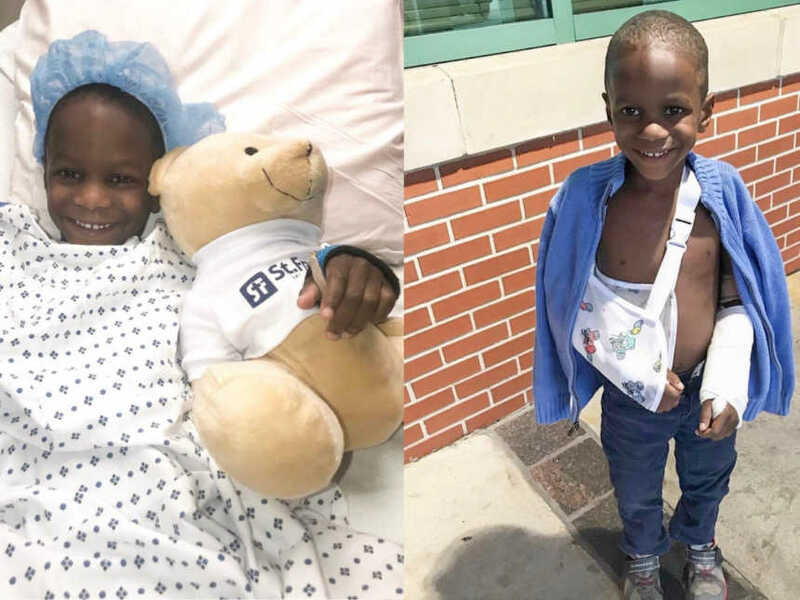 This story was submitted to Love What Matters by Charlene Maycott of Mullica Township, New Jersey. Do you have a compelling overcoming addiction story? We’d like to hear about your journey. Submit your story here, and subscribe to our best stories in our free newsletter here.